After a day varnishing the tender, and unexpectedly meeting Bill Dobson whose canal trip arrangements had been disrupted, at 16:30 the wheel sets arrived. 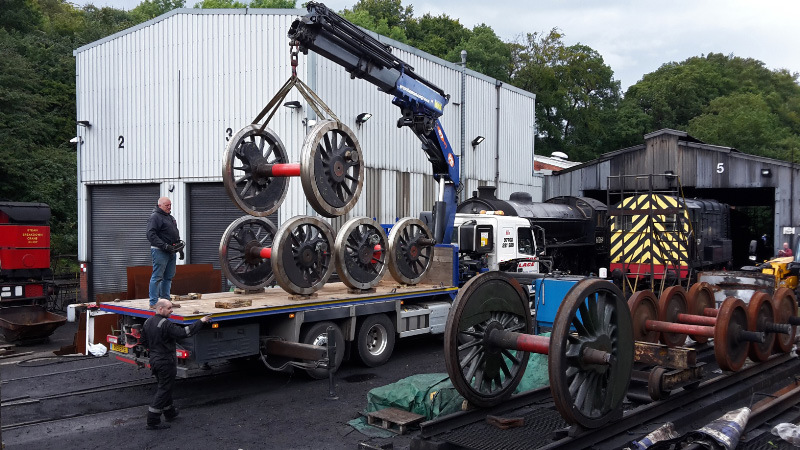 The intent had been to cover the wheelsets with polythene sheeting after unloading to keep them dry for painting. However, whilst the rest of the wheelsets were being unloaded there was a heavy thunderstorm. There didn't seem much point in covering to keep the water in.